When it comes to laying out decoy spreads for Canada geese, there are many different strategies to draw from. How a person goes about setting a spread depends on a number of variables. These variables include things like personal experience, location, weather and the time of the year. When it comes to my own personal decoy strategy for hunting geese, I would have to say my spreads are family oriented. Although I may switch things around a bit in the very late season, for most of the fall, families are key. Well cared for decoys placed in family groups will attract geese for most of the fall. There is a reason I am so hung up on utilizing family groupings for my main theme. One of those reasons has to do with observations I have made from watching live geese. One instance comes to mind that speaks volumes about my philosophy of utilizing family orientation for my decoy spreads. I was walking with my wife around a park when we heard a bunch of honkers in the distance. We watched as a group of about 30 Canadas made a swing and then skidded to a halt on the water. Even though this group came as one unit, once on the water, they immediately began dividing up according to their families. A short time later, there were four distinct groups lounging on the pond. I see family orientation in fields throughout much of the fall, as well. Even though there may be a lot of birds on the ground, one can usually still see the clusters of families as they feed. There is another reason I like to set up family groupings in my Canada goose spread. This reason has to do with repeated success. Unless it is very late in the year and the geese are bunched in large flocks, I continue to successfully decoy geese with my family group philosophy. 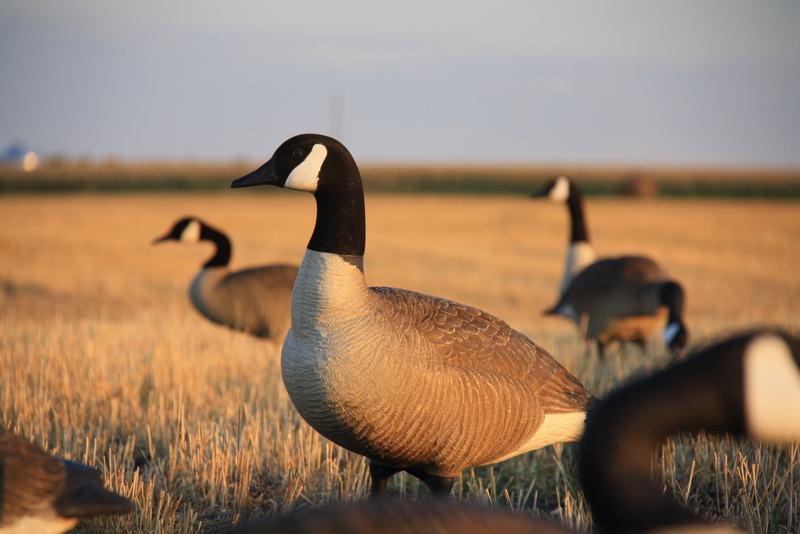 Utilizing family groups will consistently bring geese into your spread.. I am not the only hunter I know of that makes use of family groupings for much of the fall. Hunting specialist, Chad Allen, from Barrels Up and Dirty Girl Camo internet shopping site, is a big believer in family groupings. 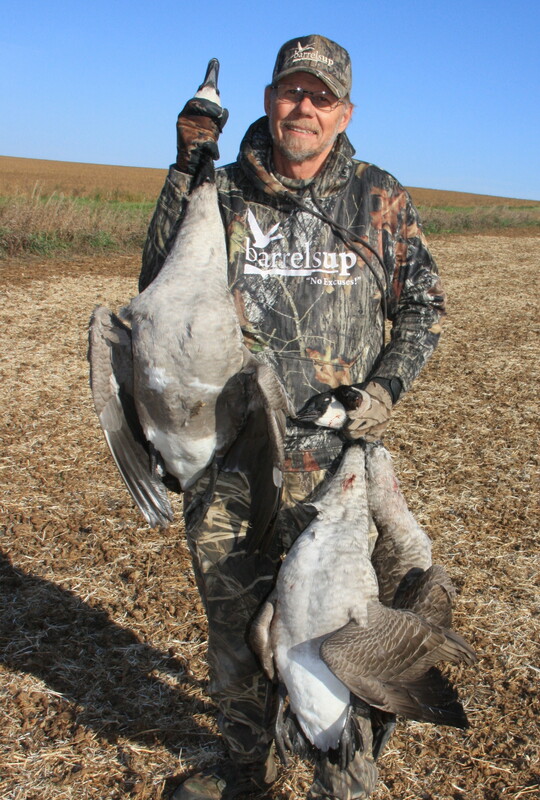 According to Allen, setting a spread in family groupings has never hurt the overall appeal of his decoys. He is also a firm believer that if something is consistently fooling geese, there is no need to change. I couldn’t agree more. The one variable I put into my family philosophy happens around my layout blinds. I always set a cluster of full bodies and silhouettes tight to the blinds to help conceal them from oncoming geese. Other than these 20 to 30 decoys, the other decoys are grouped in clusters of two to ten. There are many different ways of setting out decoys. However, as a general rule, hunters continue to work with patterns that bring success. Unless it is very late in the year, I have found that Canada geese decoy well to family oriented spreads. Until these spreads stop being effective, I will continue to focus on the family.